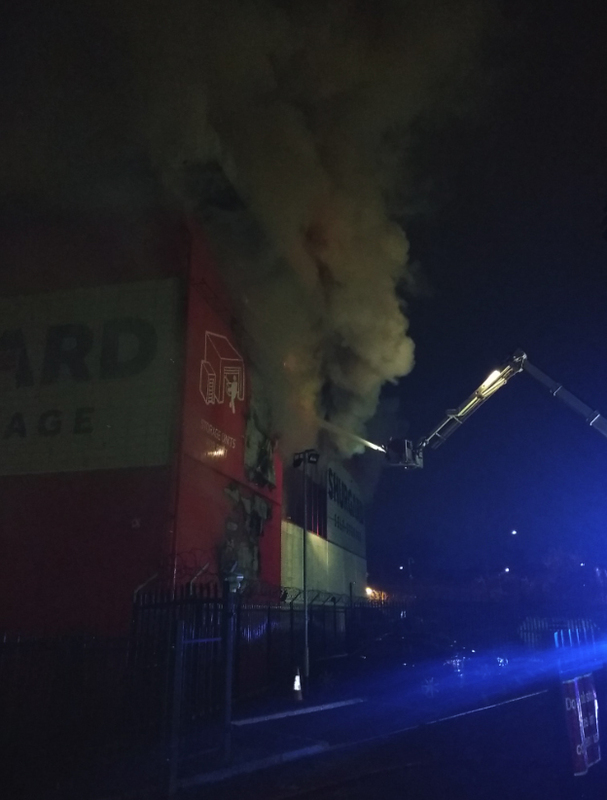 Last month we reported the sad news of a devastating fire at Shurgard’s Croydon self-store unit. Since then it has been reported in the online BM magazine that hundreds of those affected by the fire are planning a legal challenge as they claim that ‘safety features’ led to the destruction of more than a thousand people’s possessions. The article said: ‘A fire on New Year’s Eve razed a Shurgard self-storage in Croydon, south London, wiping out 1,198 storage containers, with hundreds losing irreplaceable personal mementoes. Customers claimed London Fire Brigade was alerted by phone calls instead of automatic fire alarms. If true, this means the fire could have been left to grow for a longer time before it was discovered, making it harder to put out. Customers feared the building design could have threatened the safety of anyone inside. “We couldn’t find the stairs to get down. They were not signposted, which means the fire escapes weren’t either. There were no signs to tell me how to get out,” said Carol Addy. “Somebody could have been in there when the fire started.” She also questioned the lack of security “outside normal business hours”. ‘A fire at Shurgard’s Croydon Purley Way property took place on the night of 31st December 2018. Given the catastrophic nature of the fire, which has completely destroyed the building, we are very thankful that no one was injured. Due to the devastation caused by the fire, following meetings at the scene, contents of all storage units should sadly be considered as fully destroyed and it has been decided that the building needs to be demolished for safety reasons. Shurgard would like to place on record its sincere thanks to the London Fire Brigade and the Metropolitan Police Service for their tireless efforts over the last few days. In common with all Shurgard properties in the UK, the Purley Way store was fully compliant with all national building regulations. We continue to collaborate closely with the LFB, the local police department, and our insurance company, in order to identify the source and cause of the fire. Over the last two days (2nd and 3rd of January), our team has managed to reach the majority of the 1,198 customers personally by phone or face-to-face, to explain the situation and answer any questions they may have – including any insurance-related questions. We would like to thank our customers for their patience and understanding over the last few days. We expect to have reached everyone before the end of 4th January. At Shurgard, we require all our customers to have insurance cover for their belongings. Customers have the option of purchasing insurance cover offered at Shurgard, or through their own broker. The value of insurance cover is based on each customer’s declared value. Policies offered through Shurgard are fully flexible – this means that customers can choose to adjust their insurance cover at any time as they add/remove any of their belongings in storage.